I love making ice cream. I love eating ice cream. I love the richness of custard-based ice creams. However, I'm not fond of separating eggs. It's not that I hate to do it, but it annoys me that it leaves me with the other half of the egg that I need to find a use for. So, I thought, why not make ice cream that uses the whole egg? There's actually a pretty good reason why not. The problem is that whites and yolks cook at slightly different temperatures, and it's pretty hard to regulate temperatures precisely on a normal stove. So if you leave the egg whites in, there's a greater chance you'll get curdled egg bits. There are probably other reasons, but that's the one I'm addressing here. The magic way to use the whole darned egg. You see, I just got a new gadget: the Precise Heat Mixing Bowl that works as an attachment to a KitchenAid mixer. It also which also functions as a stand-alone cooker. Note: not a freebie. I paid actual money for this. It cooks things to ... you guessed it - precise temperatures. I experimented with it a bit with other recipes, boiled some water, and then decided to give whole-egg ice cream a whirl. I mean, why not? What's the worst thing that could happen? Usually I make ice cream in warmer weather, but some recipes just NEED to be made in cold weather. 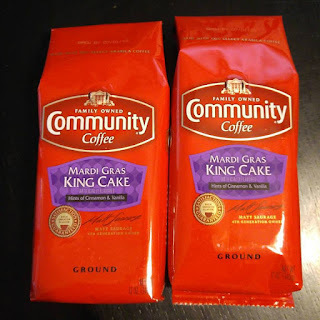 Like this Mardi Gras Coffee Ice Cream. The idea was prompted by the receipt (free, this time) of some Mardi Gras King Cake flavored ice cream. And then I was staring at that mixer thingie and wondering if it would actually work. If you don't have the magic mixing bowl, I suggest using just the yolks and cooking you mix on the stovetop as you would for any custard-based ice cream. 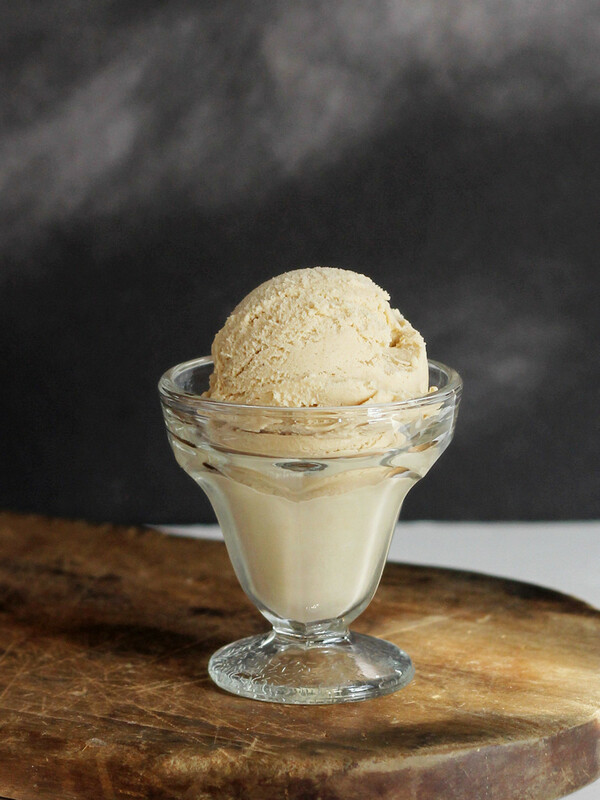 Like this Butterscotch Ice Cream. Or this Salted Butter Pecan Brittle Ice Cream. If you do have the mixing bowl attachment thingie, or you're thinking about getting one, this is a recipe you might want to save. Oh - and if you're thinking about buying it, keep in mind that this is an accessory that is not universal. There are different models for the tilt-head and bowl-lift mixers. Combine the milk with the coffee grounds and let it steep for at least a few hours, or overnight in the refrigerator. The longer it steeps, the stronger the coffee flavor will be. so you have 1 cup. 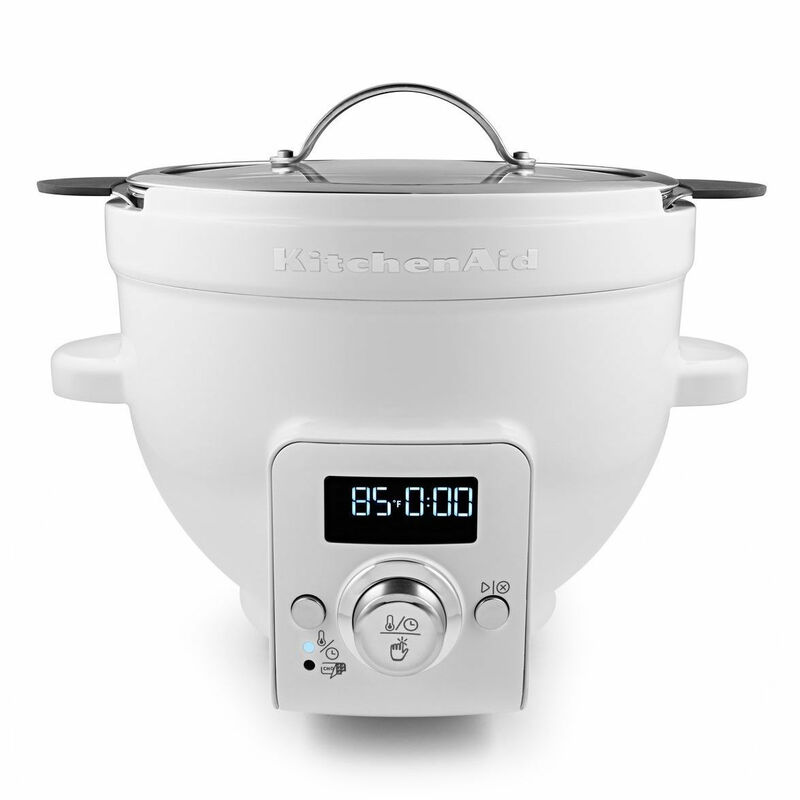 Combine all of the ingredients in the Precise Heat Mixing Bowl. Whisk well to make sure the egg is completely broken up, then continue stirring to make sure the sugar is dissolved. Set the heat on the bowl to 165 degrees and put the cover on. Let it come up to temperature, stirring occasionally. When the bowl attains the 165 temperature, remove the cover, attach the bowl to the stand mixer and attach the whisk to the stand mixer. Turn the mixer to low. 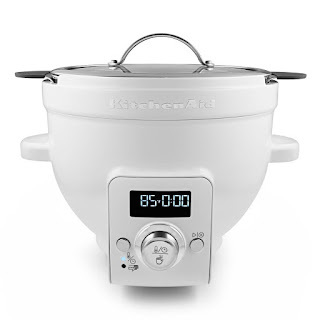 Set the heat on the bowl to 170 degrees and the timer to 5 minutes. If you like, you can drape a kitchen towel over the stand mixer and bowl to help retain the heat. You'll see that the temperature will begin to drop. That's because it's measuring the temperature of the bowl, and the mixture in the center is likely to be cooler. You're also introducing cooler air as you mix. Don't fret, the temperature will begin to rise. When it reaches 170 degrees, the timer will start counting down. When the time is up, remove the bowl from the stand mixer. The mixture will be thin, but it will thicken as it cools. Refrigerate the mixture until it's fully chilled, then churn in your ice cream maker according to the manufacturer's instructions. 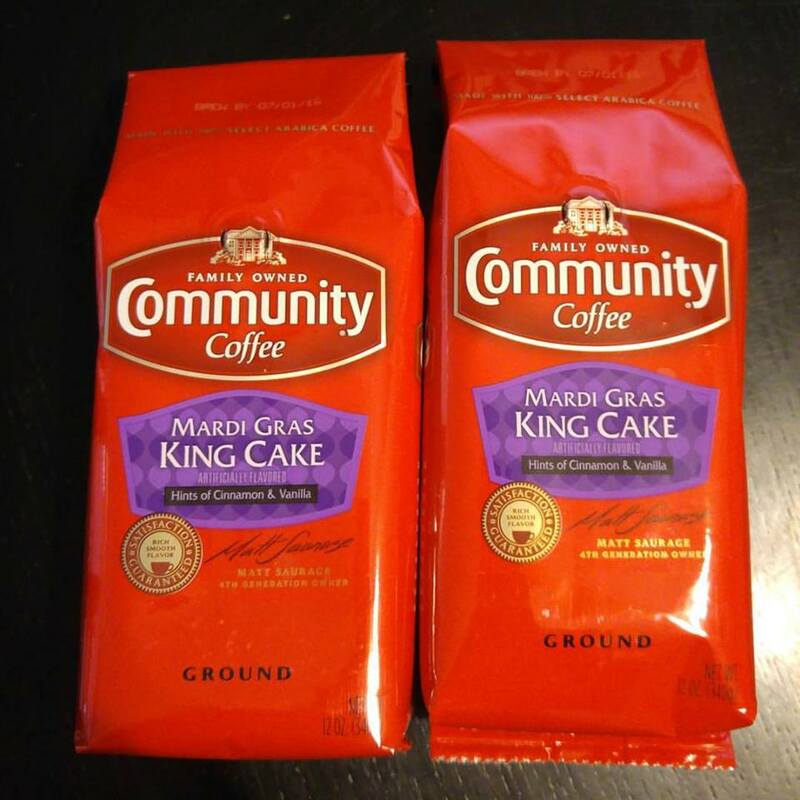 I received samples of coffee from Community Coffee Company, but was not required to use it in a recipe. However, after my neighbor told me multiple times how much she liked it, I figured I'd do something creative with it. The flavor isn't super-strong to the point where you're wouldn't want to drink it every day. It's got a hint of cinnamon and vanilla that's very pleasant. And to repeat ... no, I didn't get the bowl for free, and I was not paid, coerced or cajoled into publishing a recipe. I think I'll be doing even more recipes for it, since there aren't tons of them available, and so far I'm having a whole lot of fun with it.